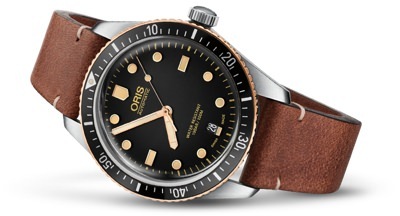 The Best Versatile Dive Watches - Oris | Valet. You don't need to be a diver to appreciate the qualities of a well made dive watch. You don't even need water. There's a reason why dive watches continue to swell in popularity despite the fact that actual scuba divers now rely on dive computers strapped to their wrists. It's because a good dive watch is a sophisticated timepiece that is as stylish as it is durable—the kind of masculine watches that always look right on a man's wrist. After all, there's something to be said about a watch that is refined enough to wear to the office, around town for a date and robust enough to take into the dark depths of the ocean. It's an essential watch for adventurers of all stripes. They may be specifically engineered for deep sea diving, but it doesn't mean that they can't be worn on your wrist while you're simply surfing the web at your desk. 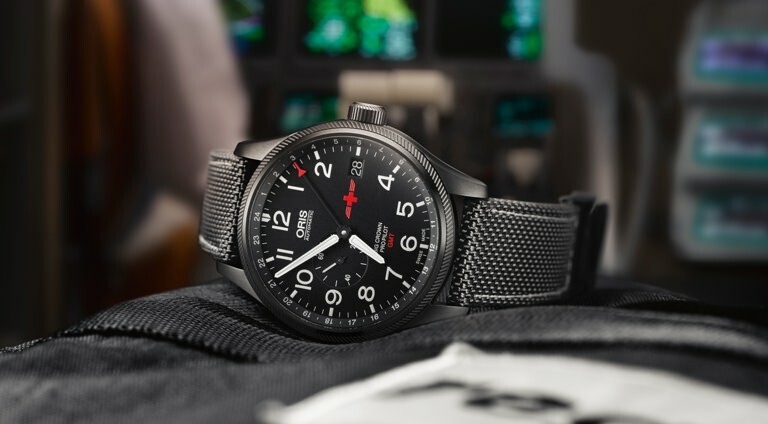 And Oris, known for making purely mechanical Swiss watches for more than a century, makes some of the best for your money. Here are three of our current favorites. 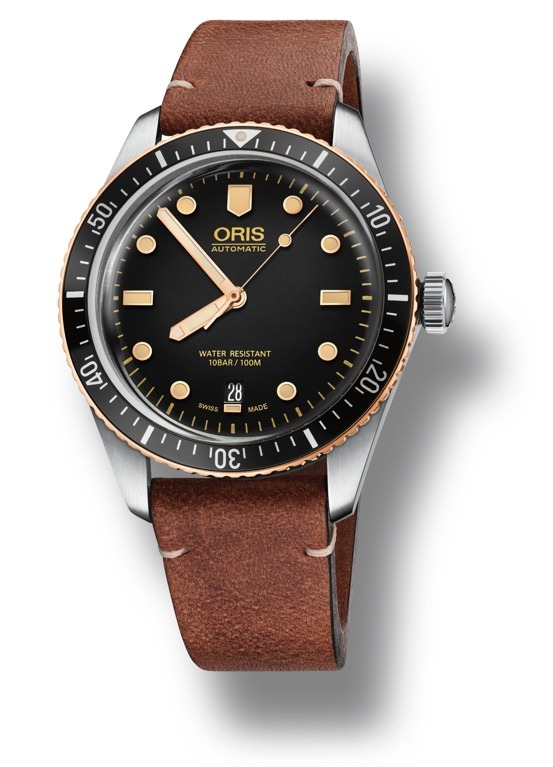 An archival design revived from the Oris collection, this is a modernized version of the iconic diver's watch that was introduced half a century ago. 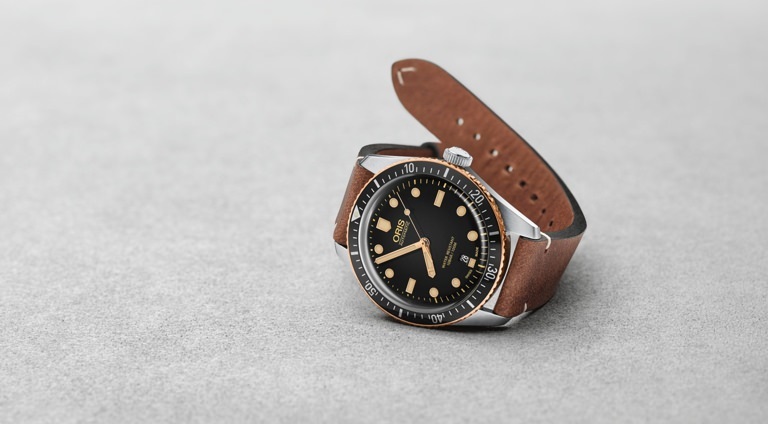 The Divers Sixty-Five can be configured in multiple styles (including with this bronze bezel and old school leather strap) and shares the throwback looks of the original. 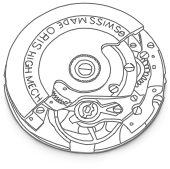 Inside, however, the timepiece has been modernized using cutting edge watchmaking techniques. The case is crafted from anti-corrosive stainless steel. And the archival-inspired bubble-curved glass is made of scratch-resistant sapphire crystal and comes with a unique anti-reflective coating on the inside to reduce glare and boost legibility. The ruggedly handsome Aquis Date has the timeless good looks of a classic dive watch with a more modern, tech-forward style. This new version not only boasts a slightly smaller (and much more wearable) 43.50mm size case, the body is made of lightweight titanium. This hard-wearing material gives the classic Aquis an extra level of performance, as well as a darker, more brooding look. 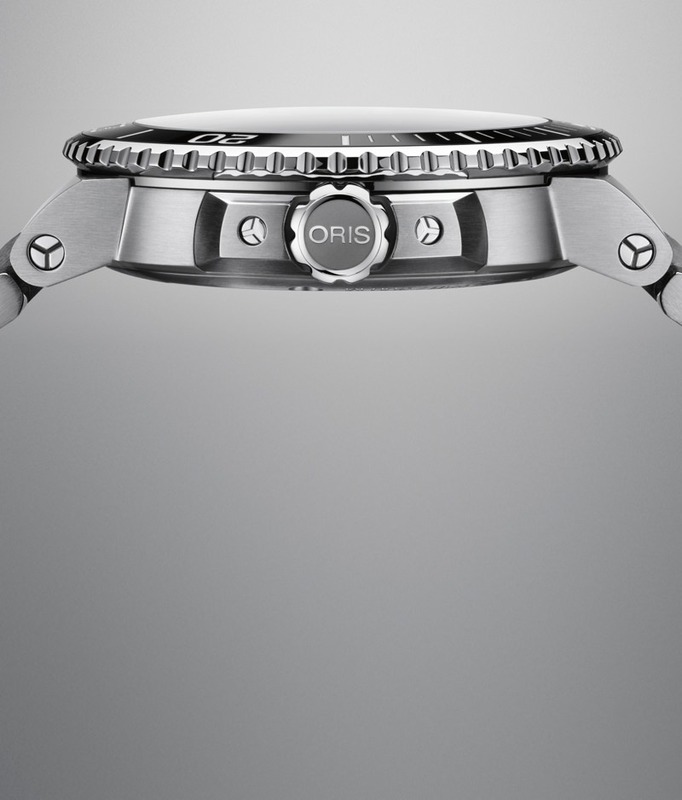 The bracelet is the clear choice among the three options Oris offers for such a dapper sport watch. 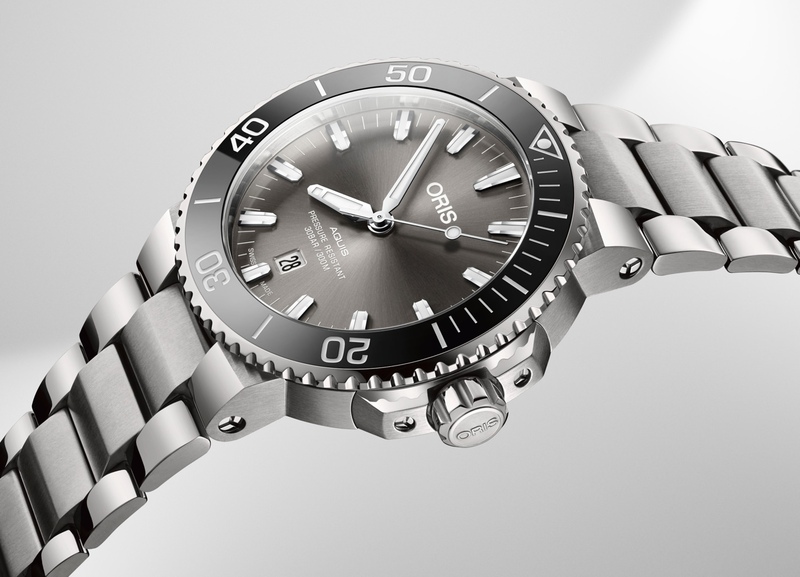 It gives the Aquis an elegant, fluid profile that means not only is the watch practical underwater, it's also comfortable transitioning to both casual and formal occasions on dry land. 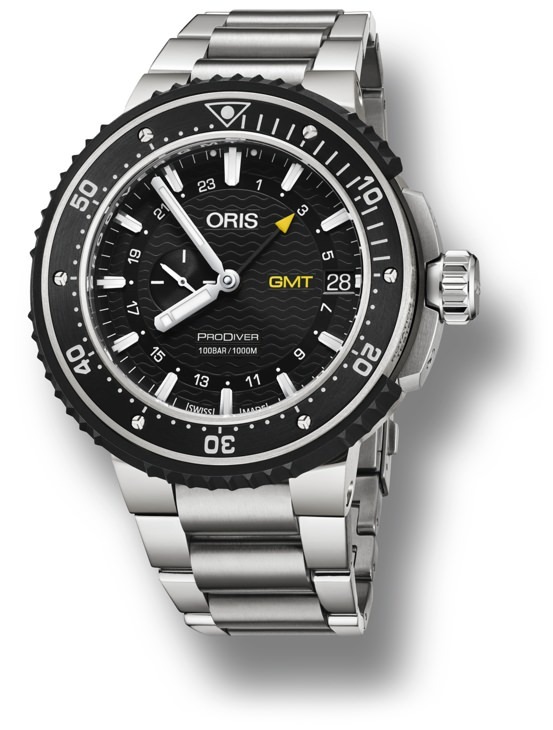 Oris's most technical diver's watch is a serious time-telling tool with impeccable diving credentials, thanks to the intel offered up by professional divers which helped develop the original ProDiver. 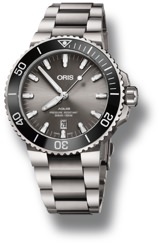 As well as being water-resistant to 1,000 meters, it features Oris's patented RSS bezel lock safety system, which holds the bezel in place during a dive. 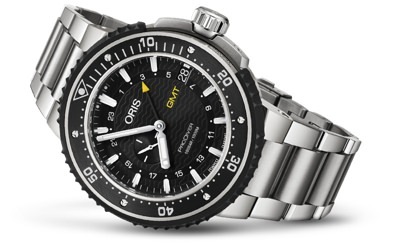 This pioneering innovation is typical of Oris's inventive spirit and has made the ProDiver one of the most respected watches in the professional diving community. The latest GMT model features a 24-hour second time zone, indicated by a central pointer hand, a lightweight 49mm titanium case and, of course, an incredibly precise Swiss made mechanical movement. A few key features separate a dive watch from other sports watches. For starters, they must have at least 100 meters of water resistance. Most models include a unidirectional rotating bezel with distinct markings to highlight or differentiate the first fifteen minutes, which allows elapsed time to be tracked easily and accurately.